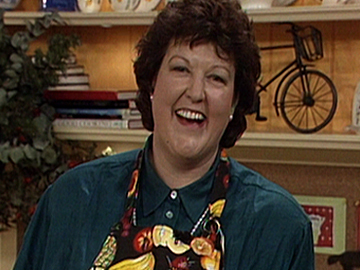 This 1998 TV series marked the screen debut of Kiwi chef Jo Seagar. Seagar had attracted notice with her bestselling 1997 recipe book You Shouldn't Have Gone To So Much Trouble, Darling. The goal of the first episode of the 13-part series is to “take the angst out of entertaining”. 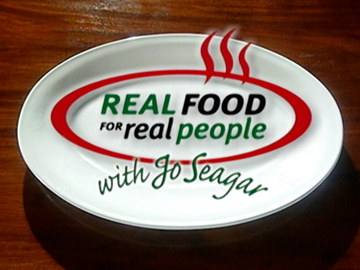 Some of Seagar’s “short cuts and clever little tricks and tips” include doubling up on pastry trays, and being stingy with the caviar (“if you use a whole lot they don’t think it’s real”). She also applies her nursing training to bandaging chicken breasts. Well-known Kiwi chef Jo Seagar trained as a cordon bleu chef in London and France, before returning home to promote a culinary style involving “maximum effect, minimum effort.” Her 1997 best-selling book You Shouldn't Have Gone To So Much Trouble, Darling caught TVNZ’s attention and Real Food marked her TV debut. The two series covered recipes from sushi to pecan pie. In a 2012 interview with Avenue, Seagar mentioned that the show rated highly, despite Television New Zealand initially telling her that a food show would never screen in primetime. 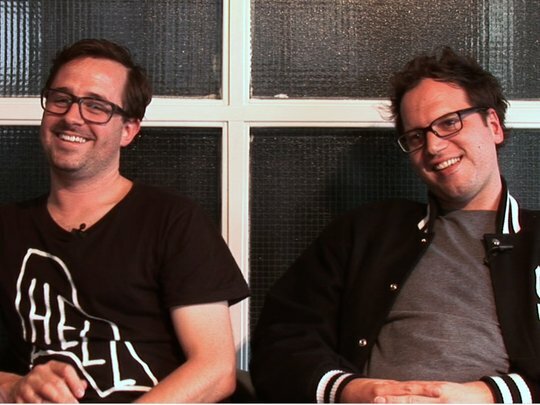 James Anderson and Nick Ward are the brains behind Auckland based production company Two Heads. They've made a name for themselves producing fresh and quirky documentaries and TV series such as Santarchy, Making Tracks, The Cheerleaders and Funny Roots. Two Heads are also the creative force behind TV ONE’s hit show The Food Truck. Without food life would not only be boring, but impossible. Television networks obviously agree: scan the TV listings, and cooking programmes are visible everywhere from My Kitchen Rules to Masterchef and Come Dine with Me. This collection offers up a smorgasbord of local chefs and culinary delights, and the chance to look back at a kinder, less competitive style of cooking show. 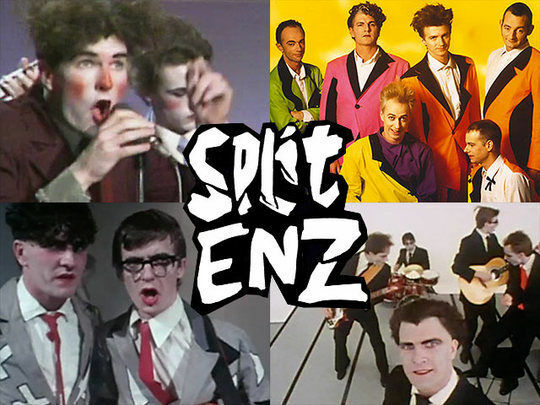 Featuring the legendary Alison Holst, 1960s era import Graham Kerr, Wellington’s Logan and Brown, the sometimes cruel, sometimes kind Hudson and Halls, and more. 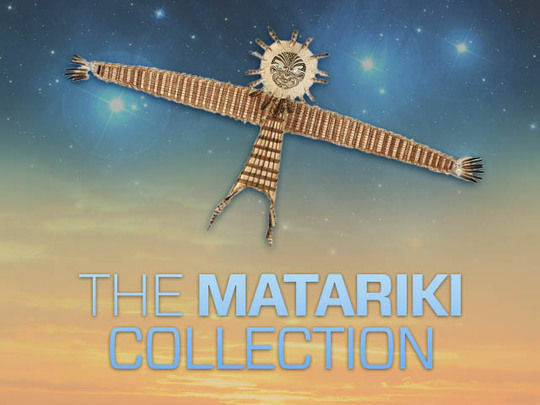 This “best of” episode from Māori TV’s long-running te reo food show revisits stories that presenter Peter Peeti has shot throughout the North Island. It‘s a celebration of food harvested from the land, rivers and sea, ranging from stingrays on the East Coast and the Tūhoe Wild Food Festival at Waimana, to goat hunting in Taranaki and fishing on Parengarenga Harbour. 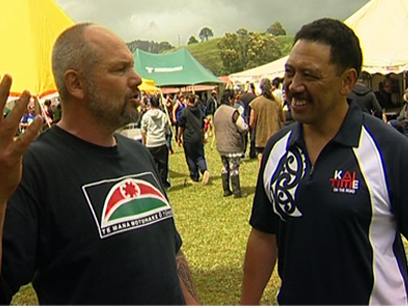 Peeti’s korero with the people of the land is equally important, and his giggle is worthy of Billy T. Recipes include mussel fritters, baked hapuka, venison casserole and curried snapper. In this series Chef Peta Mathias (Taste New Zealand) sets off on a culinary journey around the globe - without even having to leave New Zealand. In A Taste of Home Peta meets up with fellow foodies who have settled in Godzone from overseas, and asks them to share their favourite tastes of home. Viewers get to choose from Moroccan stuffed dates, Russian cabaret, bean-filled Brazilian feijoada and 'Pokarekare Ana', sung in Korean. 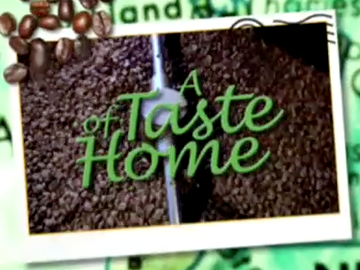 The series devotes one episode each to food from France, India, Russia, Korea, Brazil, North Africa, and the Middle East. 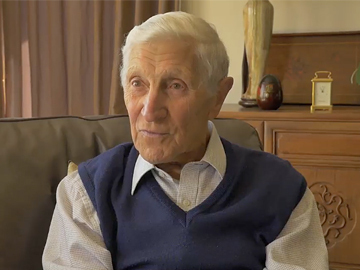 London-born Graham Kerr’s first appearance on NZ telly was in 1960 as an Air Force catering adviser. The RNZAF omelette demonstration was the beginning of a career that would see Kerr become an internationally pioneering TV chef, liberally mixing personality — a patient, slightly naughty uncle, always ready with a risqué quip — and butter, cream or wine-soaked recipes. 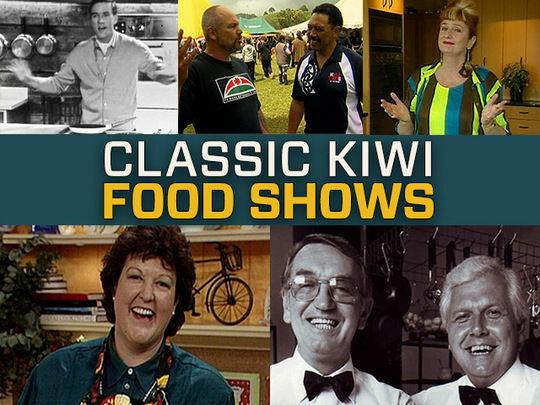 The Graham Kerr Show was the last series he made in NZ before galloping off overseas, and his worldly sophistication introduced Kiwis to horizons beyond the confines of their own insular cuisine.